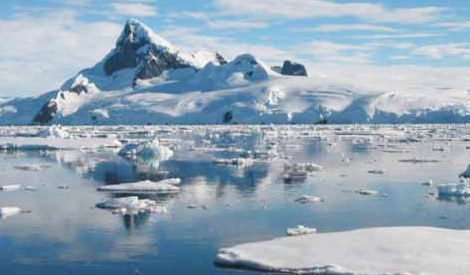 An accelerating thaw of Antarctica has pushed up world sea levels by almost a centimetre since the early 1990s in a risk for coasts from Pacific islands to Florida, an international team of scientists said on Thursday. Antarctica has enough ice to raise seas by 58 metres if it ever all melted, dwarfing frozen stores in places from Greenland to the Himalayas and making its future the biggest uncertainty in understanding global warming and ocean levels. And the ice losses quickened to 219 billion tonnes a year since 2012, from 76 billion previously. “The sharp increase... is a big surprise,” professor Andrew Shepherd of the University of Leeds and a leader of the report, told Reuters. Most ice was being lost from West Antarctica and the Antarctic Peninsula, where warmer ocean water is melting floating ice shelves at the end of glaciers, allowing ice pent up on land to slide faster toward the sea, the study said. Overall, world sea levels have risen about 20 cm in the past century, driven mainly by a natural expansion of water already in the oceans as it warms along with a thaw of glaciers from the Andes to the Alps. And a major UN assessment in 2014 said seas could rise this century by between about 30 cm and almost a meter. Under the 2015 Paris climate agreement, almost 200 governments set a goal of phasing out fossil fuels this century to limit warming. US President Donald Trump plans to pull out of the pact and to focus instead on US jobs and coal.